A simple dish, but oh so tasty. This lemon chicken recipe has a zesty tang without being overly sweet. I am firmly of the belief that cooking should never be complicated or stressful. I favor recipes that are easy to prepare but rich in taste. Good cooking is really just a matter of getting the right balance of ingredients and the right combination of flavors. Assemble your ingredients. I opted to use skinless chicken for this recipe to make it nice and healthy. Grate your lemon then squeeze and juice. 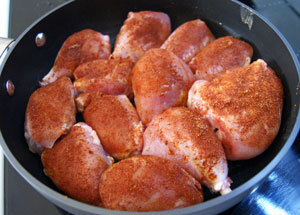 Place the paprika, salt and pepper into a small bowl and rub the mixture over the chicken pieces to coat. 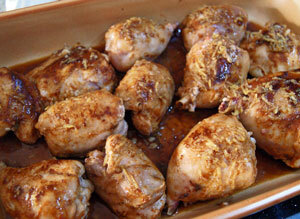 Heat the oil in a heavy-based pan and cook the chicken until it is golden brown. 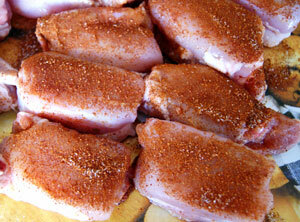 Transfer the chicken pieces to an oven-proof baking dish. Add the zest and juice to a small mixing bowl. Add a crushed garlic clove, soy sauce and brown sugar. Mix together. Pour the sauce over the chicken. Bake in a moderate (180°C / 350°F) oven for about 30 – 45 minutes or until cooked. How long it takes will depend on the size of your chicken pieces. But do make sure it is cooked through, you don’t want to be eating partly cooked chicken. Remember to keep basting the chicken during cooking to make sure you distribute the lemon and get a lovely golden brown color. 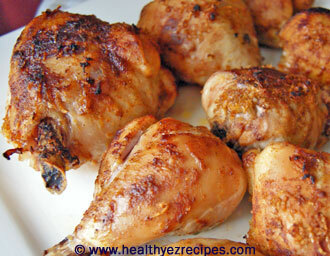 Chicken is cooked when the juices run clear. Serve with a crisp, green salad or vegetables.